Outdoor School takes sixth-grade students from the classroom to the outdoors where they can study those things best studied outdoors... plants, animals, soil, and water. 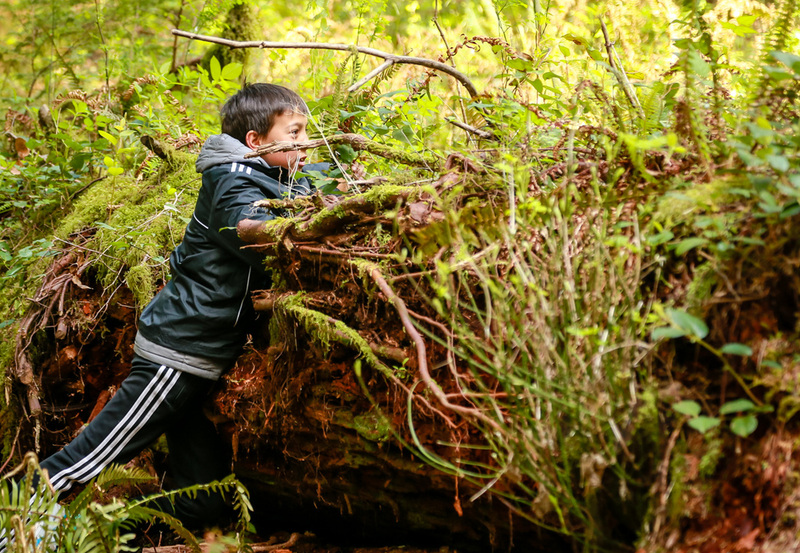 Outdoor education can take place in the school yard, vacant lot, or on a field trip, but the greatest gains are made when students can live in the outdoors for an extended period of time, at a resident Outdoor School. The Environmental Education program offers this Outdoor School opportunity to all sixth grade students in Multnomah county. During the fall and spring of each school year local youth camps are leased to provide comfortable living facilities close to the outdoor laboratory where students can learn firsthand about natural science. The program serves approximately 7,000 sixth-graders per year. Competent instructional staffs are employed to ensure a rich, 24-hour, living experience where, without interruption, sixth-graders and their teachers can explore forest, streams, and fields. In addition to trained adult staff, approximately 1,600 high school students are selected and trained each year to serve as student counselors with the program. Outdoor School is an exciting and challenging experience for students. While learning about natural science and conservation, they apply acquired knowledge and skills in mathematics, social studies, language, health, art, and music. They use these skills to investigate, measure, and report discoveries in the natural sciences during the week they share with other sixth grade children at the Outdoor School site. As a result, students learn faster, understand better, and retain information longer.